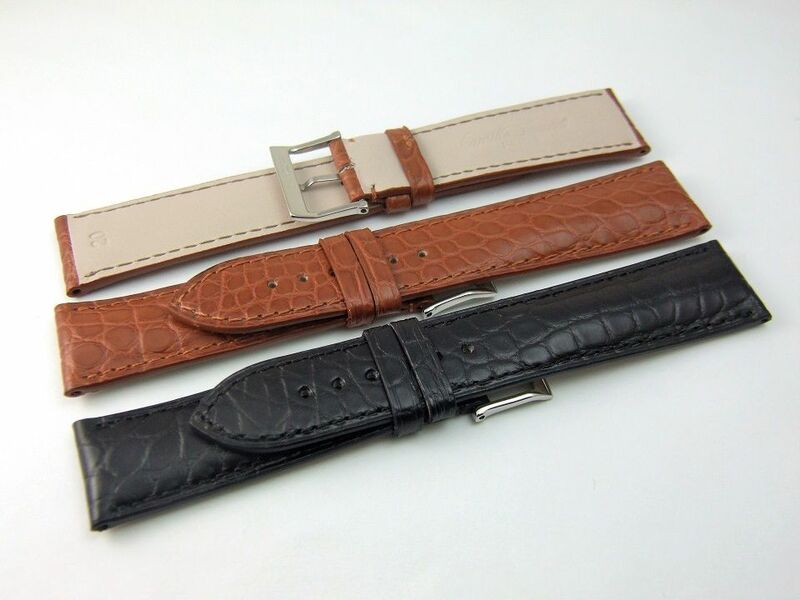 Camille Fournet Matching Stitch In Stock $229 Luxurious genuine square grain matte alligator, made in France. 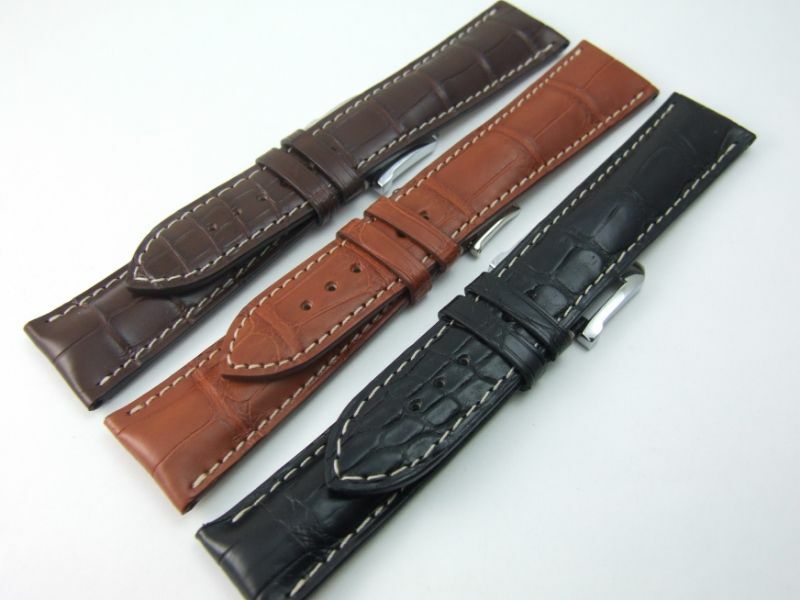 Padding increases by size to accommodate larger watches. Customs available. Camille Fournet with contrast stitch In Stock, thicker paddingprice $229.00 Custom made with a contrast stitch to Camille Fournet standard length with extra padding. Made in Paris. Same alligator as above except with contrast stitch and uniform padding at 5.5mm. Short straps, great for a better fit for some folks, but also a better wear with your favorite deployant as the shorter buckle end can keep the steel more centered on your wrist. These were custom made for me, quantities are limited. Shark with Caoutchouc Lining Short 70x115, 22x20, in Black with Red Stitching and Charcoal with Red stitching. Cut edges, Square profile (padding), 5.5mm thick with pure rubber lining. $99. Shorter buckle allows the strap to be worn with smaller wrist or deployant wearers as it centers the deployant better on the wrist. 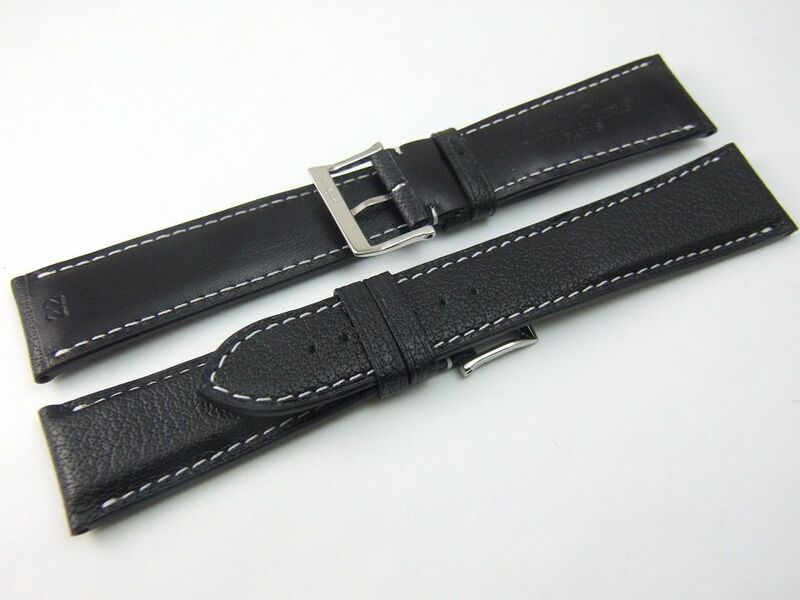 Genuine Buffalo with Black Calf Lining MID SHORT 70x115, 22x20 in Black with White Stitching. Cut edges, Square profile (padding), 5.0mm thick with black calf lining upgrade. $79. 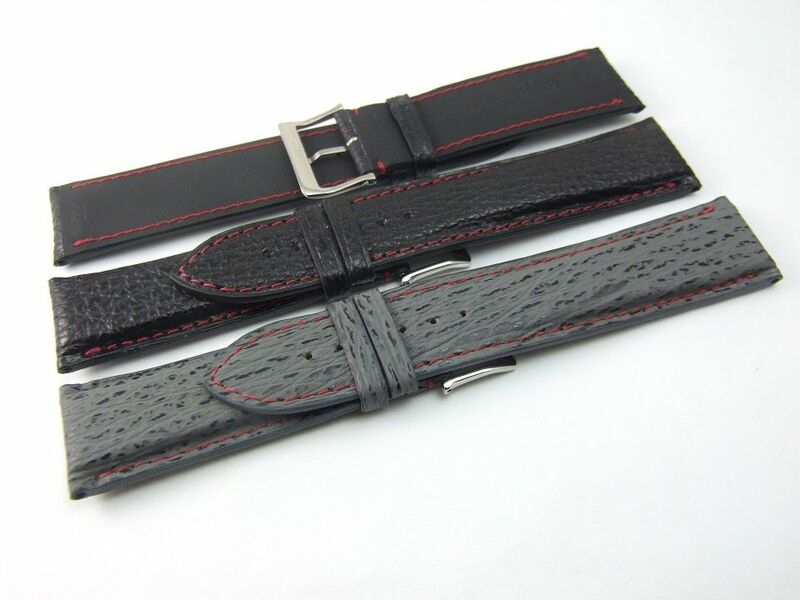 Shorter buckle allows the strap to be worn with smaller wrist or deployant wearers as it centers the deployant better on the wrist. Manufacturing/Shipping time is quoted as 4-6 weeks, could be less, could be more. 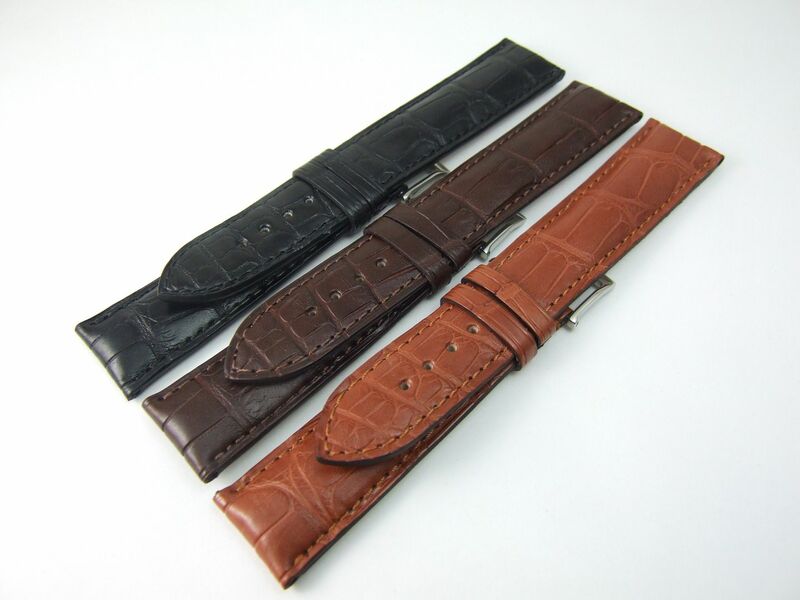 You design your own strap: Length, Thickness, Lug Width, Buckle Width, Stitch, Lining, Edging, Profile, standard buckle, Adjustable or Non-Adjustable Deployant, Presto Pins, Buckle Color and more. 3.	must be exactly as sold. Please take all measurements before attempting to mount the strap. Orders over $50.00 and paid directly through PayPal are free 1st class with delivery confirmation. The postal system around the world generally does an outstanding job; my experience has been a worldwide delivery rate over 99%. I provide (reasonable) evidence of shipment. ***If you are concerned about in transit loss, and not in an "E-delivery Confirmation country"....please select a secured or insured method as the terms are FOB shipping point, seller is not responsible. Items insured must have a visible declared value equal to the amount of insurance coverage. Please contact or paypal me at fredawatchstraps@comcast.net. Thanks for looking. Note: this post supersedes any prior posts or offers.